Cooking Paleo for a family is a challenge in itself, but cooking for one person raises a different set of issues. Sometimes it just doesn’t seem worth it to get out all the pots and pans just for one meal; it seems like cleaning everything up afterwards takes even longer than cooking. And a lot of the money-saving techniques like buying in bulk just don’t seem workable. But cooking for one also has its bright sides. You don’t have to worry about making anything look particularly impressive unless you personally enjoy fiddling with the presentation. You can cook whatever you want, whenever you want it, and there’s no pressure to make something that other people will like. To help you maximize the up sides and cut down on the problems, here’s a simple guide to Paleo cooking for just one person. Make a huge batch of something. A slow-cooker is the perfect tool for this. Divide it into individual containers, and label them clearly with the date and the contents. That way, instead of having chili every day for a week, you can put most of your batch in the freezer, and pull out one or two servings a week as you want them. It’s all the convenience of cooking in bulk, without the monotony of eating the exact same food over and over again. If you really want to get fancy with this, you could make multiple different freezer meals (remember to label them all! 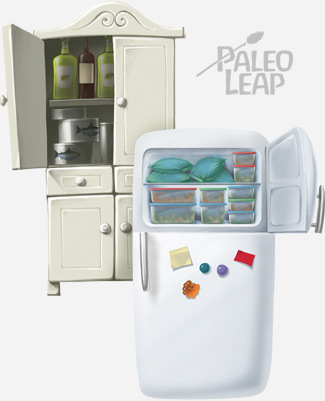 ), so you’ll always have a choice of microwaveable Paleo dinners ready to go. 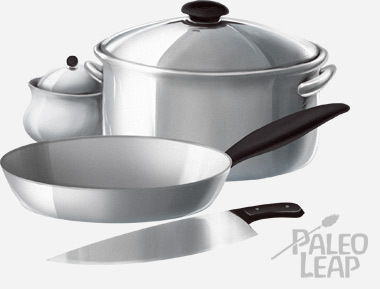 Buy versatile cookware. Glass and Pyrex can go from the oven to the fridge without a hitch, so you can store leftovers in the very same dish you used to cook in the first place. This saves you a lot of annoying, bulky pans and Tupperware to wash.
Make one-pan meals. Stir-fries, scrambles, and other simple recipes make a complete meal without a lot of dishes. Homemade sauces and dressings. Freeze them in ice cube trays, and then pop them out of the tray into plastic bags once they’re frozen. They won’t go bad, and you’ll always have some when you need them. Bulk spices. They’re cheaper, but they can go stale if you keep them out at room temperature. Nut flours and meals. These go rancid easily left out on the shelf, but they’ll keep almost indefinitely in the freezer. Coconut milk or other half-used cans. Making a recipe for one and don’t need the whole huge can of coconut milk? Just freeze the other half. Herbs. Sick of buying a huge bunch of herbs and having most of it rot away into a slimy mess? Use this recipe for freezing them in olive oil. It’s absolutely possible to shop once a week for one person; you just have to plan out your vegetables a little. Spinach, sprouts, and other fragile vegetables won’t last the whole 7 days, so aim to eat those first (or cook them into something that stores better, like a spinach quiche). Hardier specimens like squash and beets can wait until the end of the week; they’ll still be good. Another strategy is to use frozen vegetables – they’re just as nutritious as fresh, and of course, there’s no danger that they’ll go bad. Who says you can’t have one egg, one sausage, the last half-bowl of vegetable soup, and some quick roasted cauliflower for dinner? The Japanese have mastered this for the midday meal – bento boxes are lunchboxes that serve small portions of many different foods, often with cute or creative presentations. It doesn’t have to feel like you’re just eating a random plate of leftovers all smushed together; with a few meals of practice, you’ll get the knack of putting together a single meal out of many smaller servings of food. If you see a great frittata recipe with a dozen eggs, why not reduce the ingredients and make it as mini-frittatas instead, so you can cook only as many as you want. Instead of roasting a whole chicken, why not use the same spices and other seasonings to roast just a single breast, or just a leg? Even if you can’t just divide all the quantities in the recipe by 4 and expect it to work, there’s usually a way to adapt the same idea to a smaller execution. Lemon thyme chicken: just use one chicken breast instead of 4. Egg and pesto stuffed tomatoes: just cut down the eggs to however many you’re hungry for. Roasted delicata squash. Delicata squashes come in all different sizes; just find one small enough that you can eat it all in one serving. What are your best tips for single-serving Paleo cooking? Do you have a favorite bulk recipe? 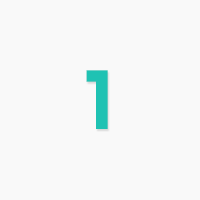 Share with us on Facebook or Google+!